When it comes to food, my boyfriend is not so easily pleased. 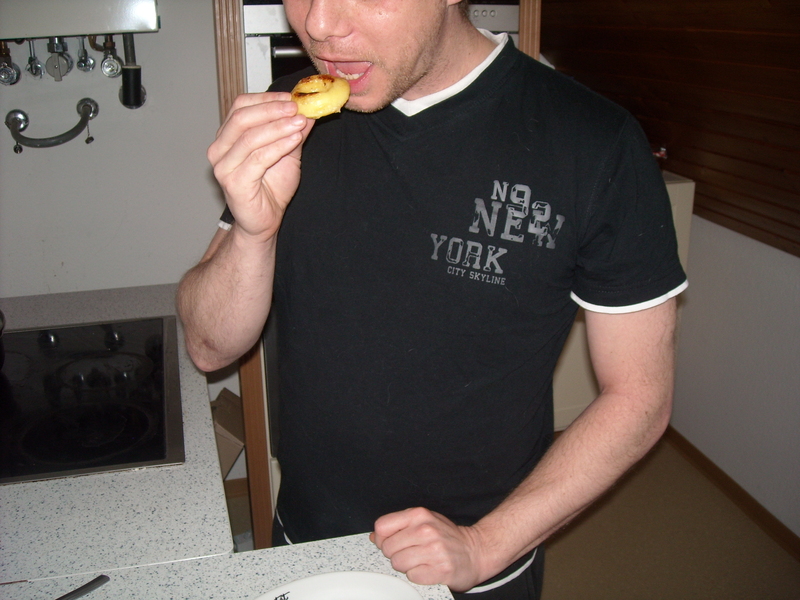 His palate tends towards schnitzel, fries, bowls of Frosties and pastries. All liberally doused in either salt or sugar. Left to his own devices, his 5-a-day would probably be happily met by a box of Froot Loops. With me being a food lover (I’d sooner hit a food market than a shoe store any day), he’s been unavoidably encouraged to eat from a broader range of foods. Occasionally, he’ll be really enthusiastic about something (‘’That was nice’’), but more often than not I get the stock response ‘’It was OK’’ (with the occasional rider ‘’Don’t make it again though’’). I’m turning to Isabella Beeton for some inspiration. ‘To be acquainted with the periods when things are in season, is one of the most essential pieces of knowledge which enter into the ‘Art of Cookery’ ‘. With this is mind, all my purchases at the Saturday market yesterday were both seasonal and local. Living at the moment in temperate southern Germany, I’m lucky to also call eastern France and northern Switzerland ‘local’ when it comes to produce. I came away with a bulky bag of freshly-picked Jonagold apples. With Isbella Beeton in hand and my boyfriend’s finicky palate in mind, I’ll now hit the kitchen and see what I can do with some of her 8 suggested apple recipes. 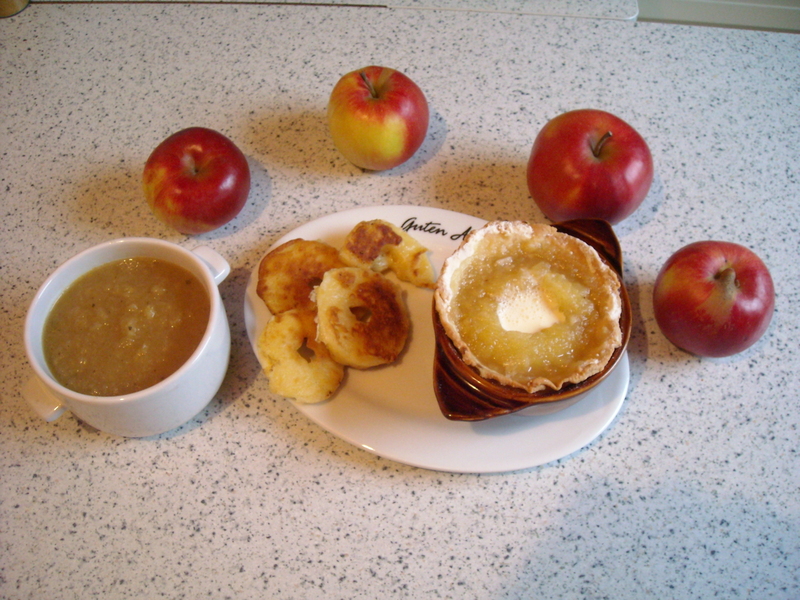 2.5 hours later: As I didn’t want to spend my entire Sunday in the kitchen, I opted for 3 not-overly-complicated dishes – Flanc of Apples (‘Apples in a Raised Crust’), Apple Fritters and Apple Soup. Apple Soup: Very simple to make. I wasn’t sure if apples in a soup was a very appealing option, but I figured I’d give it a go. Maybe we’d surprise ourselves. Our verdict: I didn’t really like it. Perhaps it was the stock mix I used. My boyfriend didn’t like it either, although he gallantly finished his spoonful. Apple Fritters: Easy-peasy to make (they’re really just slices of apple fried in batter). We both quite liked these. Not too heavy and not overly fatty. 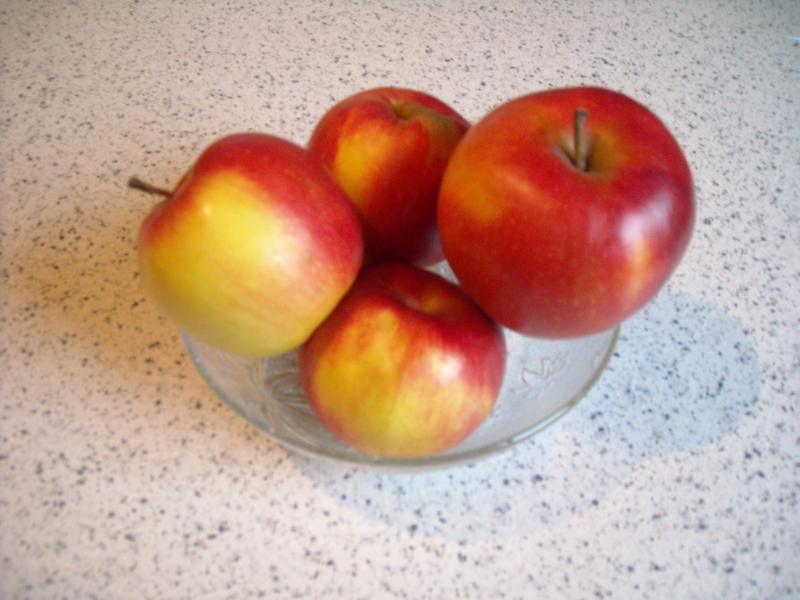 Flanc of Apples: Our verdict – ‘’Very tasty. Excellent,’’ said my boyfriend as he dove in for more. This was our joint favourite. The recipe calls for shortcrust pastry but, as she didn’t specify which of her pastry recipes was the one in question, I played it safe and used a Jamie Oliver pastry recipe (sorry Isabella. Thanks Jamie). Getting the very sweet sugar-lemon syrup to a thick-enough consistency and boiling whole (cored) apples without them falling apart wasn’t so easy (she gives no temperatures or timings per step – I guess instructions were different back then). The lemon really gave the syrup a fantastic flavor. Her tip about filling the shell with flour to pre-bake the crust (instead of beans / rice) was excellent. The crust kept its shape without warping – and hopefully I can reuse the flour for something else. Now the mess in the kitchen needs to be cleaned up. Unlike Isabella Beeton, I’ll unfortunately have to do it without any help. But the pleasure of trying these new dishes was certainly worth the mess. This entry was posted on November 22, 2009 at 1:19 pm and is filed under food. You can follow any responses to this entry through the RSS 2.0 feed. You can leave a response, or trackback from your own site.